Binotto B-Power pneumatic cab controller is available in many different configurations and with various optional accessories. Thanks to its appealing and ergonomic design, Binotto B-power pneumatic cab control is the natural choice for any type of tipper truck. Beside esthetical reasons, B- power cab control is also superior because of the materials which is made of, its structure and its internal components. 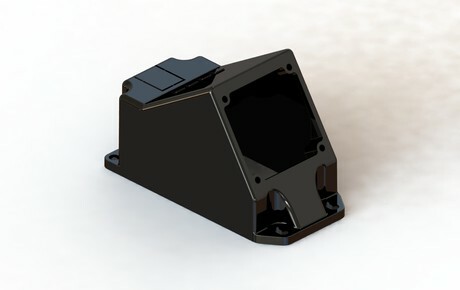 The main body is in techno polymer, black color. A metal plate is located as a reinforcement under the lever to better withstand the movements of the syringe. The syringe itself has a bronze ring at the bottom end. 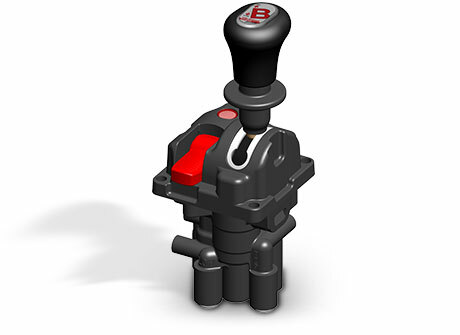 Compared to other cab controls available in the market, the inner shaft is longer, with stronger full rounded shape. Furthermore, while others use a lamp, Binotto B-power is equipped with led in order not to interfere with the PCB of the vehicle (for PTO-switch included version). Additional air switch for tippers (also with LED) is always available as a separate switch for PTO engagement (for those pneumatic cab controller versions which do not include the PTO switch). Solid, reliable, usable and ergonomic, versatile and appealing design: there are so many reasons why operators usually prefer and chose Binotto B-power pneumatic cab control!. DPN#AX Air Proportional B-Power cab control / 3way Manual with PTO [automatic disengage] Ø1/4"
Binotto B-Power pneumatic cab control is compact , long lasting and really trouble free. 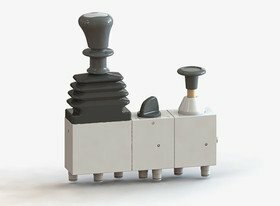 Available in 2-way or 3-way version (tip/low position with or without side switch for pto engagement), you can choose it with manual or automatic lever return to the rest position. The B-Power is proportional, meaning that adjusting the lever in different angular positions it is possible to have different speed at lowering. Air fittings Ø06 mm as a standard, but Ø 1/4“ are also available. It is designed to be side or front mounted according to the space available in the cabin and it can be combine with various types of support. 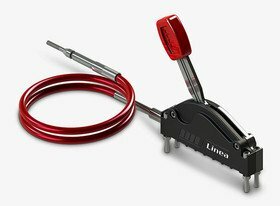 With the largest and most complete range of accessories (optional brackets, multi position brackets, pressure signal, additional 2-way pneumatic switch for PTO control, …), it is the preferred solution which can satisfy all the market needs.